At Vigur island in the Westfjords of Iceland. Visiting Vigur island is one of the best ways to get a glimpse into the Icelandic past. It shows how Icelanders survived by carefully husbanding their resources on land and sea. Sailing from the town of Ísafjörður to Vigur island is pleasant. The diverse bird life on this remote island is fascinating to me. The most visible of those is the territorial Artic Tern. Its aggressiveness is why it is welcome by the people that live on the island. The Artic Tern defends the breeding grounds of the Common Eider that produces the Eiderdown. This is a highly expensive luxury item. The inhabitants of Vigur have throughout the ages worked hard to protect, nurture and grow the Common Eider breeding grounds. A stone wall with shelters for the Common Eider dates back more in 200 years. The effort needed to build this speaks volume about the value of the Common Eider for the locals. When I visited the island of Vigur we were invited to walk this spear-shaped island (the word Vigur means spear). We were under constant assault from the Artic Tern. 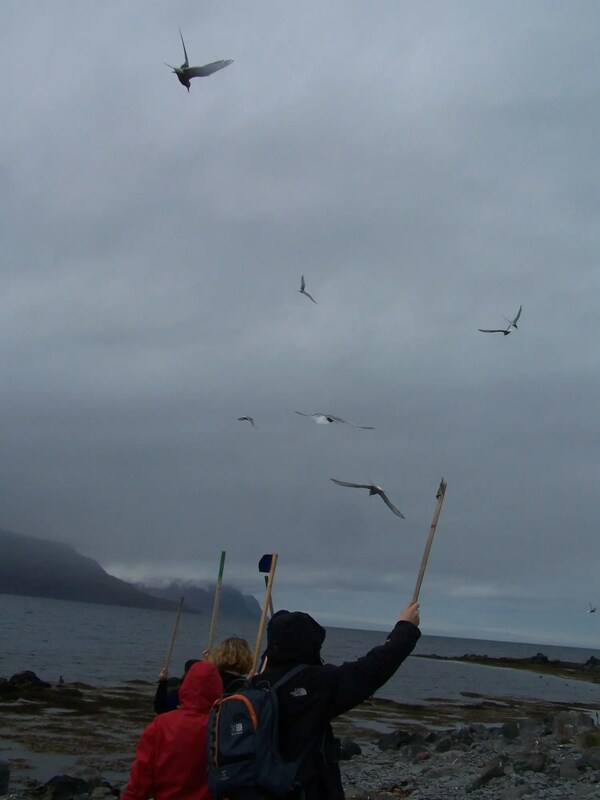 Most people held a stick above their heads as the Artic Tern always goes for the highest point. The stick does not protect you from the “missiles” discharged from this fierce aerial warrior. 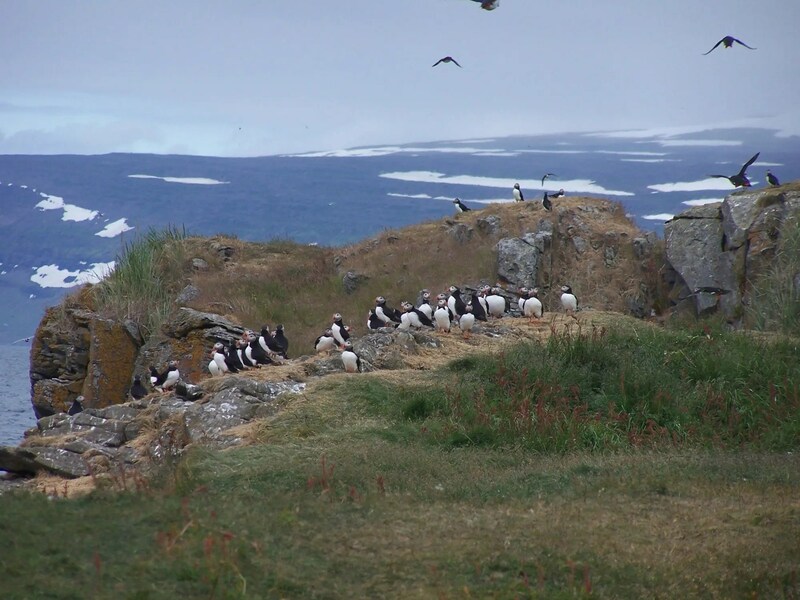 Vigur island is also home to other sea birds. These include the Puffin and Black Guillemot. Get your game face on and brave the aerial assault of the Artic Tern. Vigur island has another relic. The boat “Vigur Breiður” is rowed by eight rowers and used for fishing and ferrying goods and sheep. It is a great example of the almost lost art and science of wooden boat building. The boat is probably made in the Westfjords from driftwood that comes all the way from Siberia. A boat for a different time. You might also like to watch the seals that are so common in the waters off the Westfjord. Don´t like seals? Maybe you like windmills? 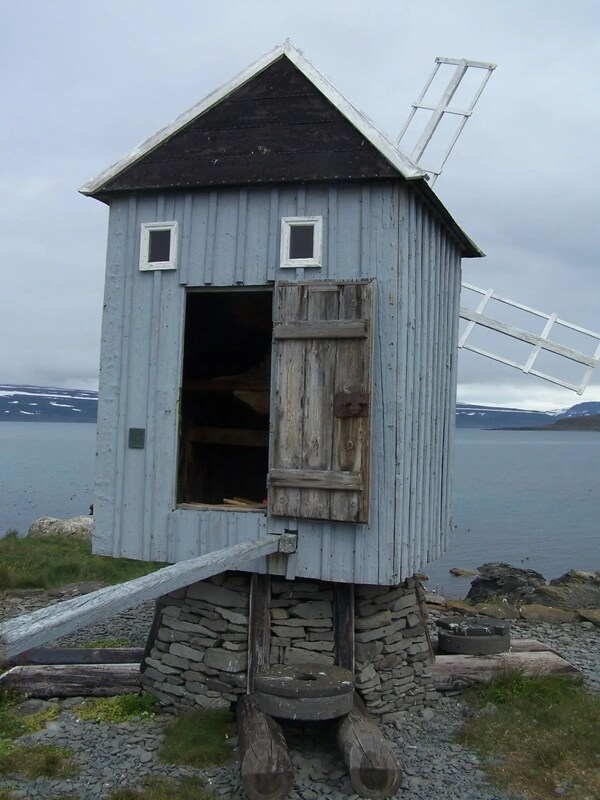 Vigur island is is a home to a windmill built in 1840, the only old windmill left standing in Iceland. Once this was the only windmill in Iceland. Irrelevant side note: Windmills are been making a comeback in Iceland. The National Power Company is successfully test running two of massive electricity generating windmills with massive success. You can watch them in action on their web site. Studies have shown that tourists love puffins. There is no way of knowing whether the puffins love them back. The inhabitants of Vigur were farmers but now focus on tourism and the Eiderdown. 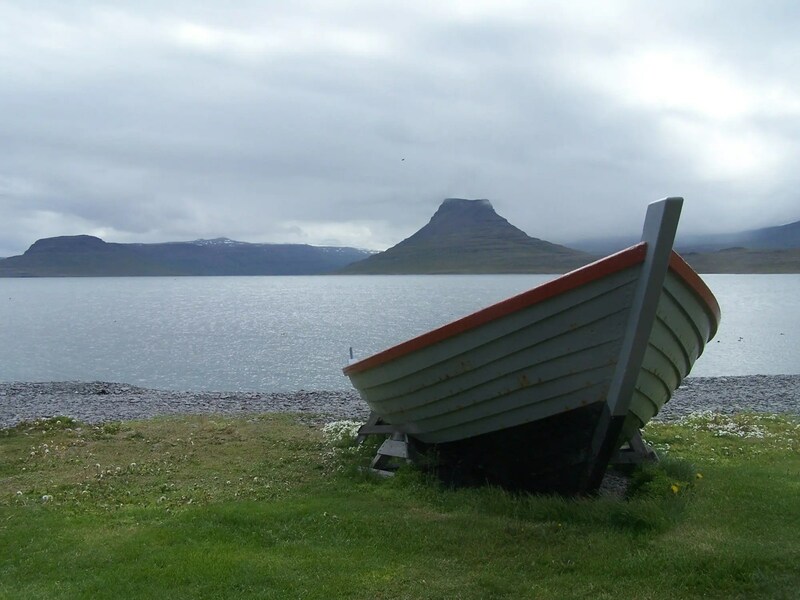 An internet search shows that boat trips to Vigur island from the town of Isafjordur are provided by West Tours and Sjóferðir. We have no affiliation with these companies and there are probably many others that can take out there. Make sure you always travel with a reputable company that puts safety at sea first and know what they are doing. Do the Icelandic Monster Mash! History and Culture Do the Icelandic Monster Mash!